Hi and welcome to the Really Reasonable Ribbon blog today! 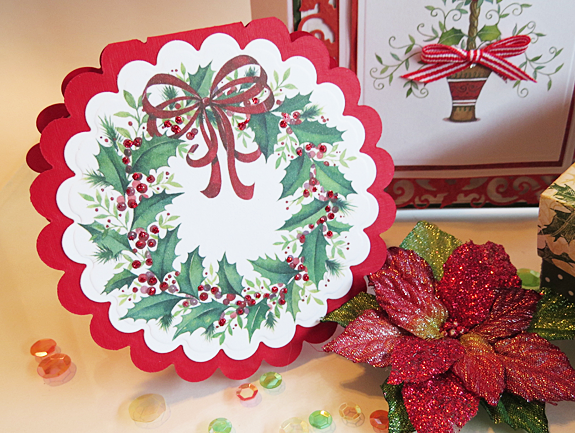 It's been a fun month sharing our Christmas ribbon collection with all of you and today I have another idea using some of the pre-printed cards that you can get from one of my favorite companies in the UK called Lily of the Valley. You can get a huge stack of these so they are perfect to get lots of ribbon and card stock and make up some fun things to give away for Christmas. 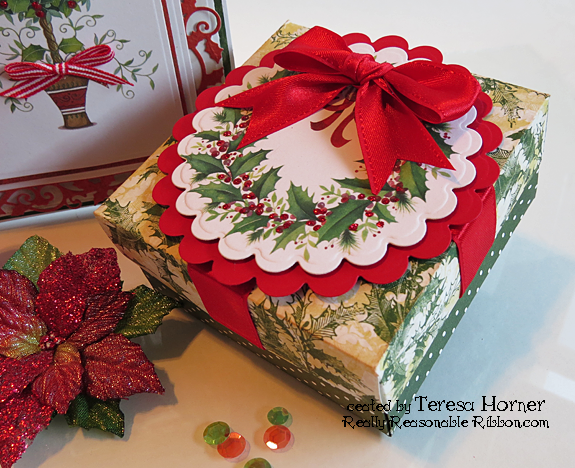 For this set I used red satin ribbon on the box to make it look like it was wrapped and just a bit of tiny checked ribbon for the tree. Adding glitter and ribbons gives you more depth and texture to otherwise flat projects so it's a really fun and easy thing to do with your projects. Here is a closeup of my box. 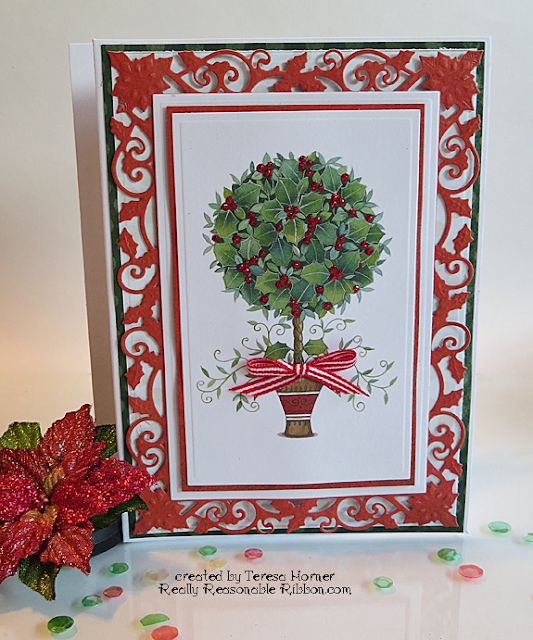 The papers are from Bo Bunny and for the top I cut/embossed the printed card with a Spellbinders die and then added a matted base in red to make it pop more. It's always nice to send a matching card to wow them so I did this as a folded shaped card and then added some glitter on the top. 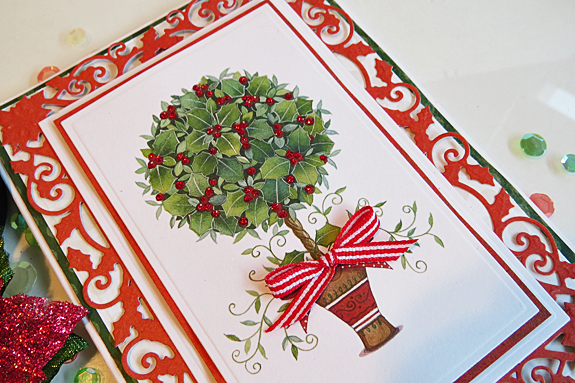 For this card I used a new Holly Die set from Spellbinders for the base and then cut the printed cards with another rectangle die to emboss the outside edges. It's super easy to do and gives it such a nice finished look. And then to finish it I glued a ribbon bow over the top and added some glitter. Here is a closer look at the top of the card for you to see. I think I will have to make a few more of these to send out this year. What a clever idea to take these images and make them into your own creations. Both the card and the box are lovely. You've created a very inspiring collection that makes me want to order these papers, ribbons and die so I will begin creating holiday joys! Thank you so much! What a beautiful set. Great job!